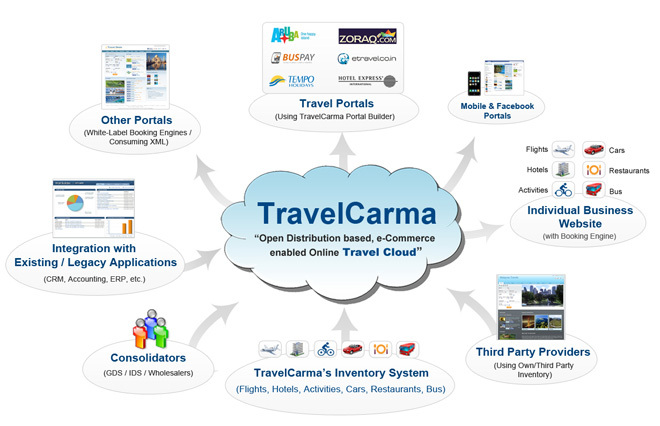 We selected TravelCarma after rigorous selection process. 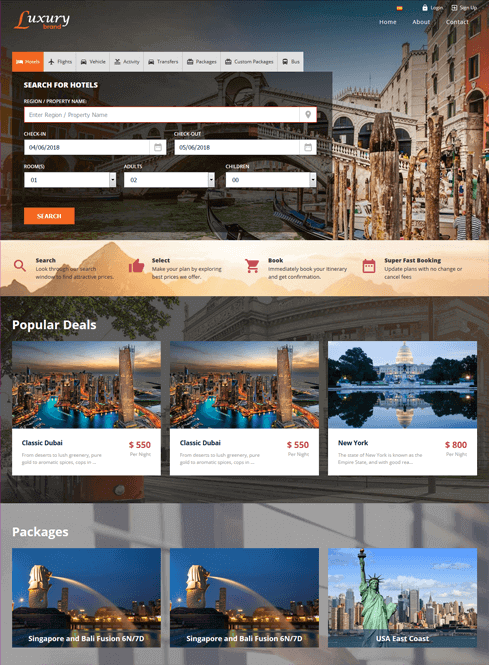 We needed a lot of modules from flight, hotels, tours and activities and wanted to aggregate multiple XML suppliers at once. 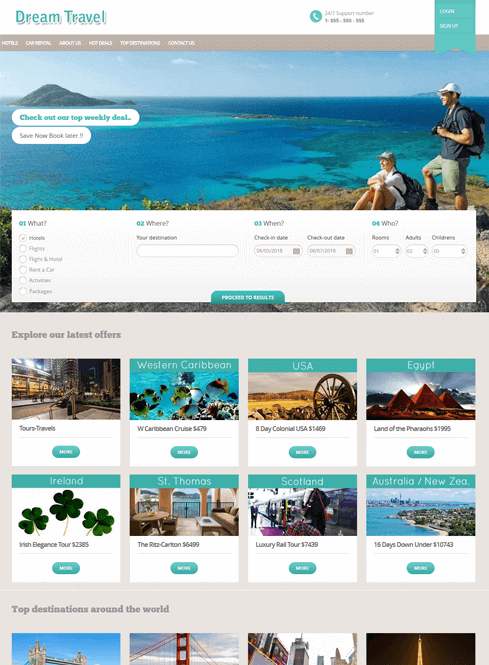 We communicated our plans and ideas to TravelCarma and their experienced team rapidly brainstormed all the cases, asked questions, shared knowledge and finally provided the ideal solution. 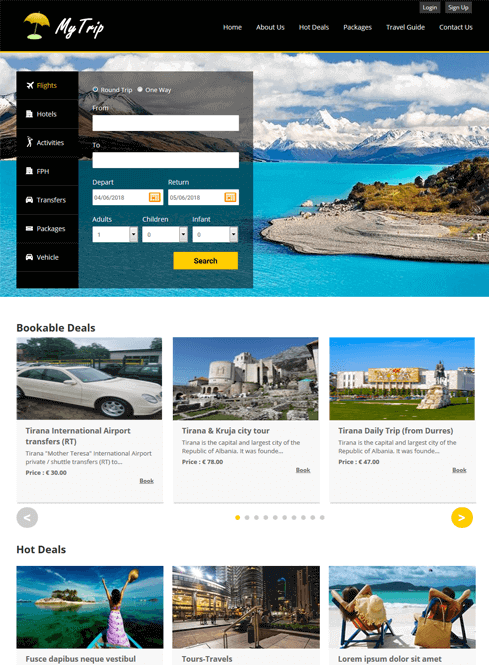 After checking out major travel booking engine providers in the world, we chose TravelCarma as the best value for money system. One of the most important benefits that we received with TravelCarma is great number of pre-integrated suppliers so we were able to connect in great speed and start our business without delay. 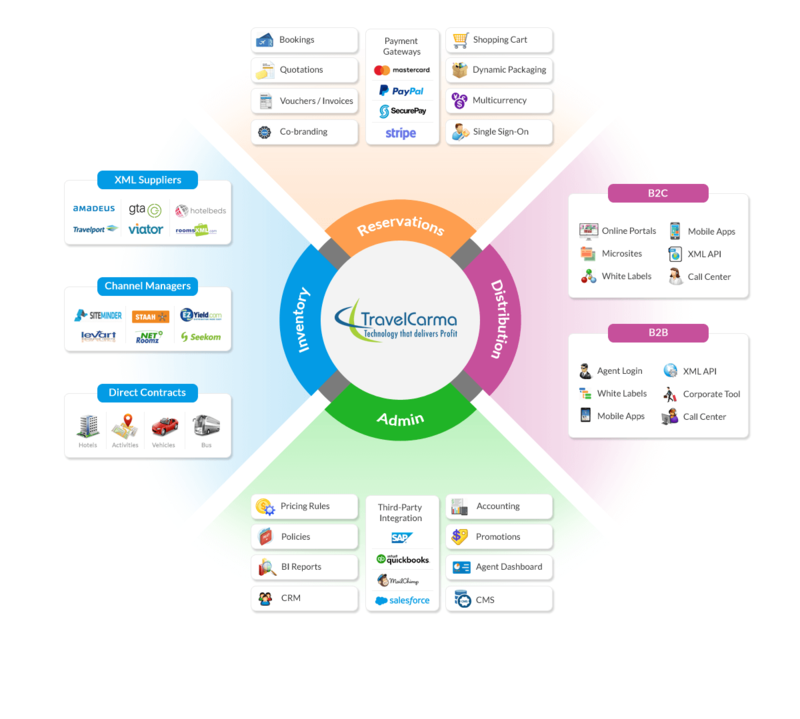 TravelCarma has provided us a really useful and scalable booking platform for flights, hotels and activities. It includes several travel management features required by companies like ours. They have a great team that is quick to respond and service our needs. They have often gone out of their way to support us which is why we have stuck with them for over 5 years.We strongly recommend them over other providers. TravelCarma played a major role in launching our brand. They provided amazing technical assistance and built our website from scratch. They also fulfilled all our complicated and custom requirements. Their team responds fast and welcomes new requirement requests with amazing delivery. Their support team is proactive and on many occasions has fixed issues even before we reported them. 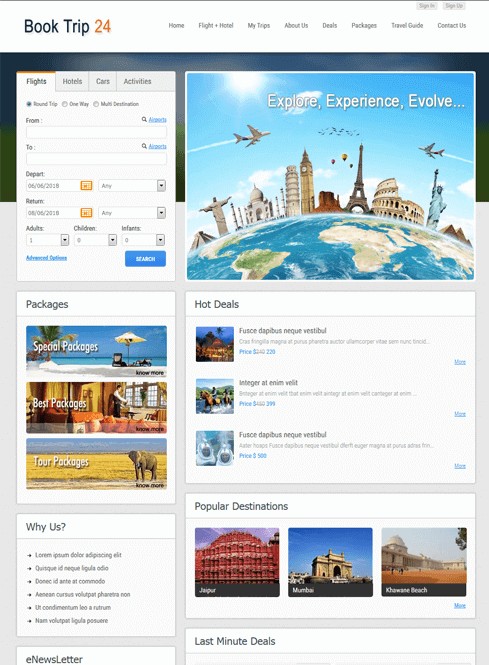 They provide everything an Online Travel Agency needs at an affordable price. TravelCarma’s attention to detail both before and after the system delivery has been just amazing. We always get a fast response to all our questions and they are very easy to work with. Our productivity has gone up considerably since we started using their system. Their team has helped plug the holes in our business processes and they have streamlined our business to a large degree. Moreover, their price is absolutely great considering the value they provide, as compared to other vendors in the market. 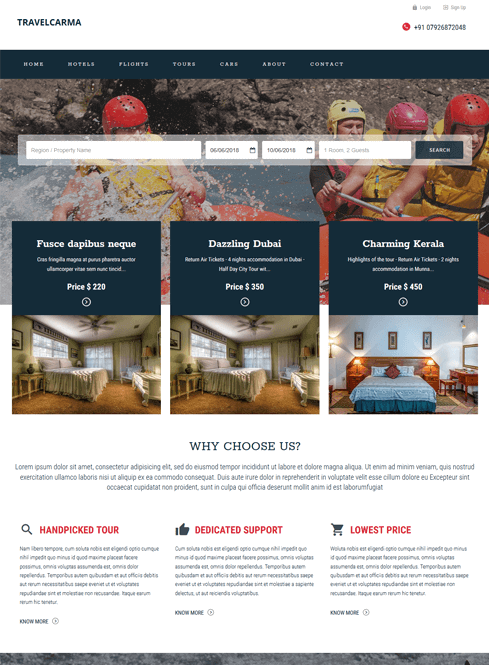 We have worked with travel and hospitality companies of all types and sizes over a span of over 20 years and we understand the pain points and challenges different travel businesses face in different areas of the business. Our unique middleware engine allows large travel businesses to aggregate data from multiple channels into a single API which they use to distribute inventory and content to their sub-agents and channel partners. We have integrated 80+ global API suppliers and have strong relationships with suppliers globally, so we can help you if you need assistance in dealing with any of the suppliers, pre or post integration. We have built a wide range of proven, ready-to-deploy solutions that fit most business models, helping you minimize the overall development time and get your products out into the market quicker. Join over 10,000 subscribers and receive updates on the latest news, tips and special offers....right into your inbox!